position in the European market this year. recovered quite robustly this year. 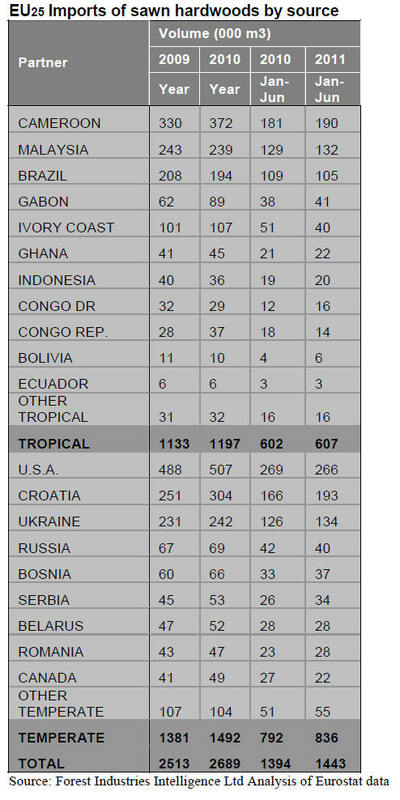 imports from Ivory Coast, Congo Republic and Brazil. 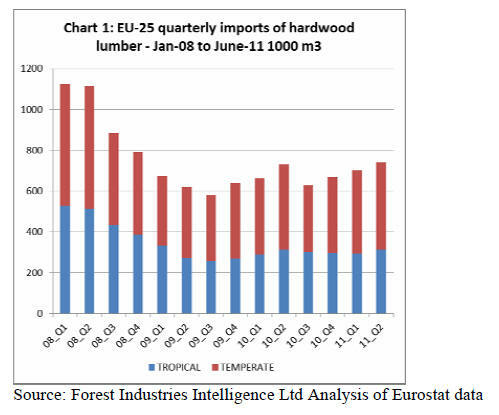 imports of hardwood sawnwood during the last 3 years. well below levels prevailing before the economic crises. 327,000 m3 to 427,000 m3. remained flat at around 300,000 m3 each quarter. shown in the following graphic. 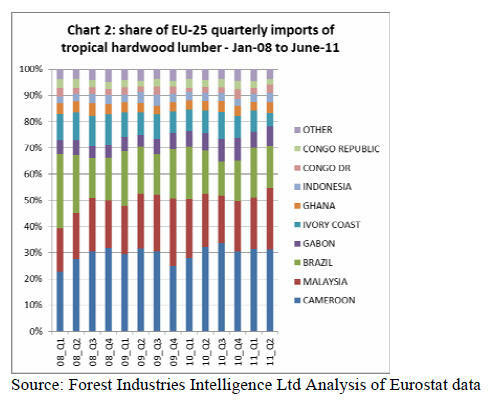 wood is now being diverted to Brazil’s domestic market. 5% in the 12 months to June 2011.
and in 2012 seem slim say analysts. once again mounting across the continent. species despite relatively low stocks for the time of year. volumes to hold in stock. with slow consumption balanced by limited supply. kiln dried are rising due to shortages of kiln space. from Africa are very lengthy. easier to source from Ivory Coast than earlier in the year. formerly cut in Europe from Gabonese logs. around 20% up compared with the start of 2011. Asia and Australasia relatively firm prices. search for substitutes to tropical hardwoods. brand, to build market share in Europe. to rise on the back of increased energy and material costs. 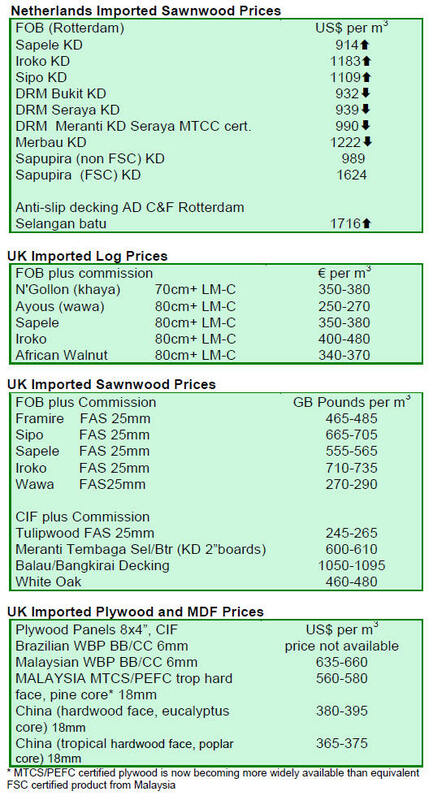 considerable relevance to hardwood demand. 2.4% forecast at the beginning of 2011). (50,209) were 13% down on the same period in 2010.
annum at least until 2015.
consumption figures have been good in recent months. Building activity in Germany has risen well this year. up 7.3% in the first half of 2011. Interior door manufacturers are reporting brisk orders. of between 5% and 15% for 2011 as a whole.